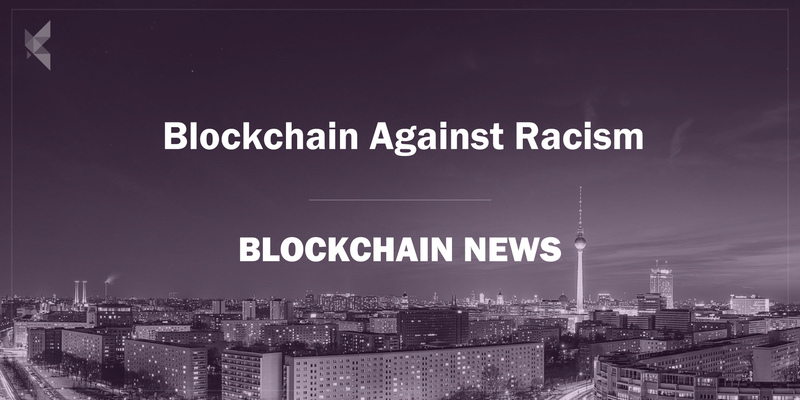 This Sunday 27th May, the team of the Konfid.io Blockchain Innovation Studio in Berlin, German will be attending and supporting the counter-demonstrations against the AFD (Alternative für Deutschland), the far right wing Party in the German Parliament. Why has a Digital Innovation Studio focusing on Blockchain and AI chosen to do this? 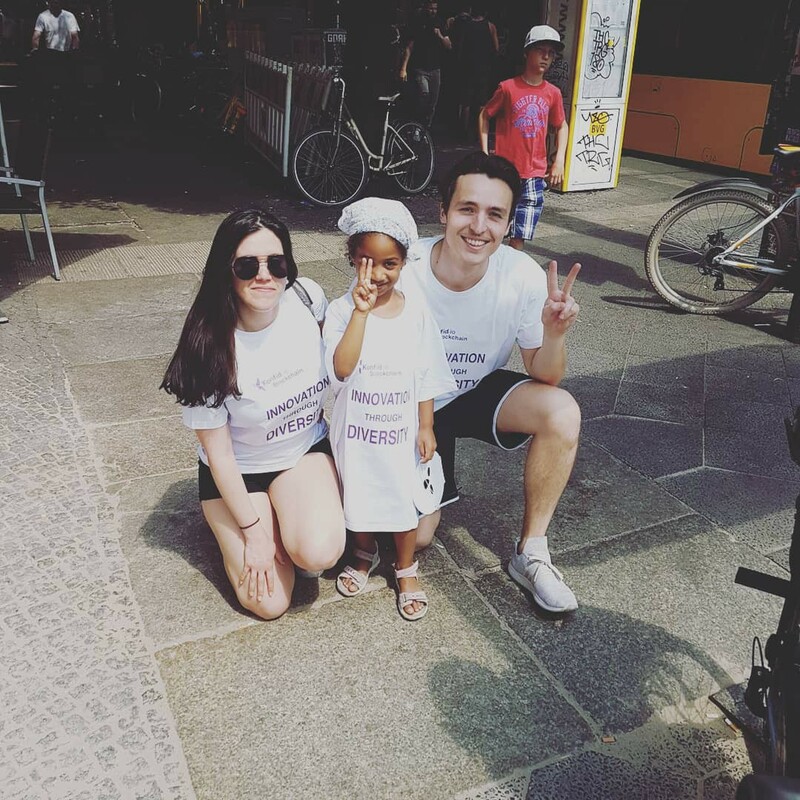 Here at Konfid.io, we are proud of our inclusive culture, which values diversity across racial, sexual, cultural and gender identity. Our team is made up of 30 highly skilled, experienced people from 15 countries and 5 continents (we can answer customer service calls in 13–15 languages, depending on the complexity of the request!). 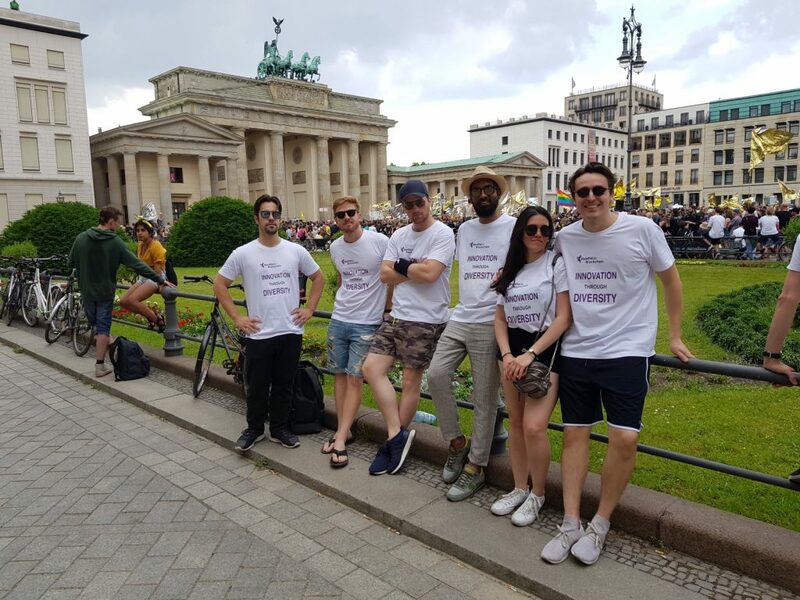 All of our innovation and blockchain professionals live, work and pay taxes in Germany. We believe that the world is changing and that is a good thing. Digitalisation and Innovation can help create positive social impact and solve some of the pressing problems facing humanity. Good solutions need innovative thinking. Innovative thinking is accelerated by diversity of cultural experience and different approaches to problem solving. We have nothing but contempt for the AFD in its backwardness, small mindedness, and its rejection of science, difference, diversity and heterogeneity, but most of all for the fear it stakes, the demonisation of entire sections of the population and for its claims of ownership to being the sole arbiter of what is a good German. Some context for those not familiar with the German political landscape: the AFD (Alternative für Deutschland — Alternative for Germany) is a political party founded in 2013. It was founded in the wake of the Eurozone crisis as a centre-right alternative with a focus on eurosceptic ‘Germany first’ economic policy, and a range of policies similar to other socially conservative parties — anti-immigration, anti-gay marriage, anti-climate change etc. Since the economically focussed and anti-immigration factions of the party split in 2015 (the anti-immigration wing got to keep the name) it has both become more more extreme in its views, and more popular in the polls. What do we disagree with? It’s manifesto for the 2017 Federal Elections openly contained Islamophobia, transphobia, and climate change denial. They won 12.6% of the national vote and are now the largest opposition party in the German parliament (the two biggest have formed a ruling coalition). We do not agree. Every day of our working lives, we are grateful for both Mathematics for coding; Coffee to perk up our blockchain developers; Clocks that tell our AI researchers when their meetings begin and of course we are grateful that Moslems as a culture introduced hygiene to Europe. A Happy Ramadan Mubarak to one and all. We have no intention of turning this post into a plug, however for context, climate change is something about which we feel particularly passionate. We are currently working hard with a multinational team developing a blockchain platform we hope will change the way people produce and consume energy. We’ll be coming out of stealth mode and releasing more details in the coming weeks for those interested. Just like all academic disciplines, Gender Studies tries to understand an aspect of our world — gender and its various expressions. Years of research have lead most gender researchers to believe that gender is primarily but not entirely a social construct, and the science is still working things out. As it should be. This, as well as their climate change denial, shows an abhorrence of scientific inquiry and evidence based reasoning. Demonisation of science, races and religions remains a core skill the AfD possess. For this reason we find them contemptible. We believe business, including start ups like ourselves, in Germany should take an active stand against an anti science, anti innovation, anti inclusion political party which also happens to be the official opposition in our country of residence and taxation . We encourage more CEOs to follow the example of Joe Kaeser, chief executive of Siemens and speak out. Last but not least, although most of us were born outside of Germany, we consider Berlin our home. We will not allow the AfD to come into our hometown and stir up fear and hate without protest. For those of you based in Berlin — some details on the various counter protests, put together by our Chief Anti-Fascist Officer, Manuel. Sparkling Demo (Glänzende Demo): This parade is organized by artists and theatre people. Will start at 11am at Volkspark am Weinberg (U Rosenthalerplatz) and go to the Brandenburger Tor. Berlin against Nazis: Berlin’s club scene is organizing a parade with djs playing on their demo vehicles. Starts at 11am at U-Bahnhof Hansaplatz. For early birds 10am at Europaplatz in front of the central station (AFD will start on the other side of it!). The demo will also go to the Brandenburger Tor.